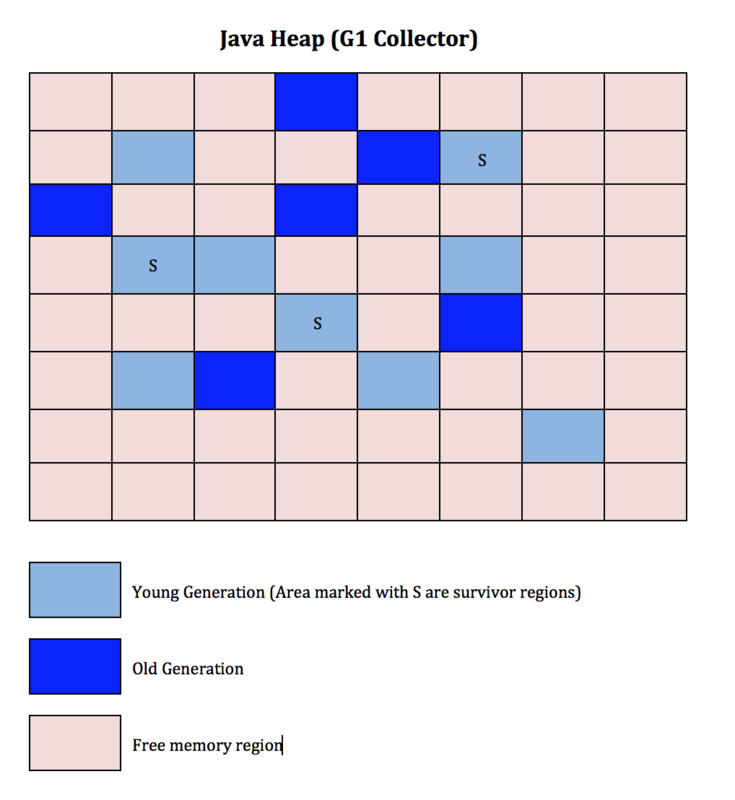 With G1 Garbage collector, the entire heap is divided in to fixed-size regions. These regions are then grouped as various generations (Young, Tenured, Survivor etc). Note that these regions are contiguous blocks of memory. During the ‘mark’ phase of the GC (Mark phase is when GC identifies all the objects that are alive), the entire Heap is analyzed. G1 collector applies the ‘sweep’ phase to the regions that are most likely to free up large amount of memory first. G1 Collector compacts the heap throughout the GC operation (it does this by copying objects from several regions into to a single empty region). With the throughput collector (Parallel collector), compaction happens only for the whole-heap operation which results in considerable GC pause time. Why you need to know this? Best troubleshooting tool to diagnose GC/Memory related issues is verbose gc logs. Crank up the verbose gc logging and monitor it over a period of time (a day or two). Java 9 incorporates design and implementation a standard module system for the Java SE Platform and applies that system to the Platform . Many thanks for sharing. Next post: What you didn’t know about java.lang.OutOfMemory Error!